Since 2002, Potentialpark’s market research has brought the voice of the candidates to both employers and universities. They have released the 2018 ranking of the most talent friendly employers in US, and Enterprise has made the list in several categories! 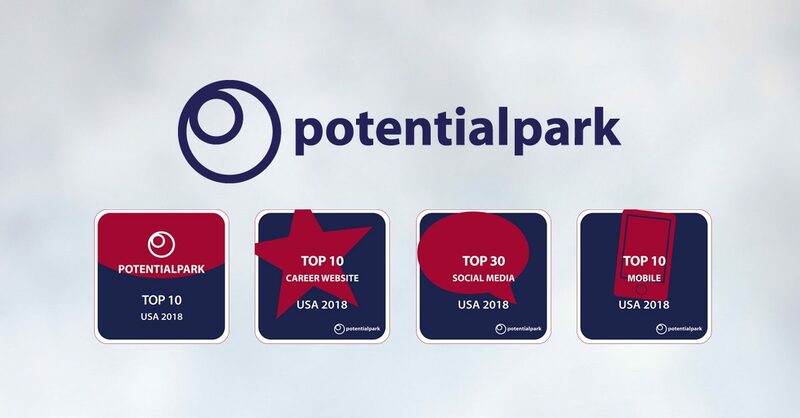 We’re proud to have been recognized by PotentialPark for the digital experience we provide to job-seekers. We love sharing Enterprise stories and connecting with you! Keep reading to find out how we ranked in several categories. Thank you to our social media followers and candidates! We look forward to continuing to connect with you and improve your digital experience with Enterprise Holdings Careers. Click here to learn more about starting a career at Enterprise!